Alexis "Lexi" Griffith was born on March 7, 2000 to Danny and Sheryl Griffith. She has a sister, Courtney and a brother, Brandon. Currently, Lexi is a senior at Willlowbend Academy and she will graduate in 2018. During Lexi's spare time, she enjoys reading, painting nails and hanging out with her friends. At 17 months old, Lexi jumped down eight stairs on to ceramic tile and stuck it. Her parents decided to enroll her into gymnastics to teach Lexi how to protect herself. 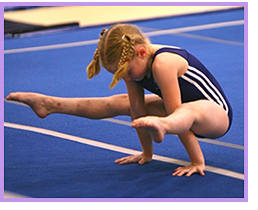 She started her competitive gymnastics career at Trevino's Gymnastics. She started training at Texas Dreams Gymnastics in Coppell, TX where she trained under coaches Gina Logan and Travis Cherrier at the age of seven. Lexi started competing level 6 in 2008. She finished third in the all-around and first on balance beam and floor exercise at the State Championships. She moved up to level 7 for the 2010 season. She finished first on uneven bars and in the all-around at the Coaches Spectacular. At the Texas Prime Meet, she placed third in the all-around with a 37.750 and first on uneven bars. She had another great meet at the Metroplex Challenge, finishing first in the all-around with a 37.725 and second on uneven bars and balance beam. At the Nadia Comaneci Invitational, she finished seventh in the all-around with a 37.500, second on vault and first on uneven bars. Lexi finished third on uneven bars at the Kurt Thomas Invitational. At the Rose City Classic, she placed fifth in the all-around with a 37.825, third on vault and first on uneven bars. She was unable to compete at the State Championships due to an injury. In 2011, Lexi was limited to two events most of the level 8 season. She finished fourth on floor exercise with a 9.425 at the Texas Prime Meet. She scored a 9.400 on balance beam and 9.100 on floor exercise at the WOGA Classic. At the Rose City Classic, Lexi finished third on floor exercise with a 9.375. She concluded her level 8 season at the State Championships, scoring a 9.350 on balance beam and 9.250 on floor exercise. As a level 9 gymnast in 2012, Lexi finished third on balance beam and in the all-around at the Lady Luck Invitational. At the Alamo Classic, she placed first on vault, uneven bars, balance beam, floor exercise and in the all-around. She finished first on vault and eighth in the all-around at the WOGA Classic. Lexi had a great meet at the Texas Prime Meet, finishing first in the all-around with a 37.475, first on floor exercise scoring a 9.800 and second on balance beam with a 9.475. She placed fifth on uneven bars at the Rose City Classic. At the State Championships, she placed ninth in the all-around with a 37.125, seventh on uneven bars and fifth on floor exercise. She qualified to the Region 3 Championships. 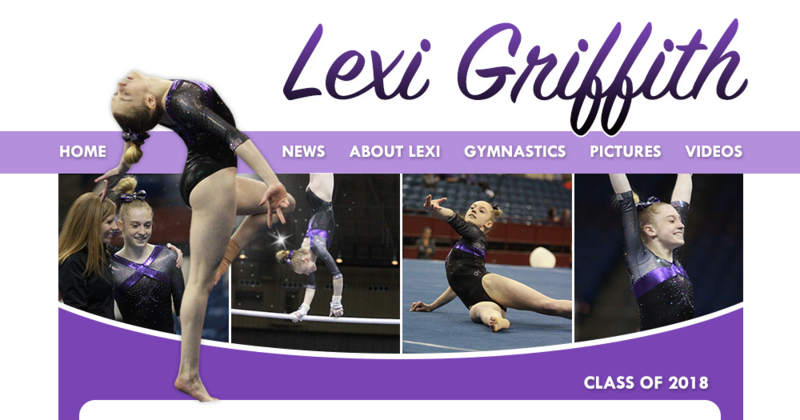 In the spring of 2013, Lexi started training at Texas Champions Gymnastics in Plano, TX. Lexi moved up to level 10 for the 2014 season. She placed first on balance beam at the Houston National Invitational. At the Anna Brashear Invitational, she placed fourth in the all-around, third on balance beam and second on floor exercise. Lexi did really well at the Region 3 Championships where she placed tenth in the all-around and sixth on floor exercise. She qualified to the Junior Olympic National Invitational Tournament in Jackson, MS, finishing fifth in the all-around and first on floor exercise. In 2015, Lexi finished seventh in the all-around and third on floor exercise at the Texas Prime Meet. She won the floor exercise title at the Sand Dollar Invitational. She was unable to compete rest of the season due to an injury. In 2016, Lexi did two events at the Region 3 Championships. In July 2016, Lexi moved to Metroplex Gymnastics in Allen, TX. In 2017, Lexi finished fourth in the all-around with a 37.750, fourth on floor exercise and fifth on vault and balance beam. She was unable to compete at Regionals due to illness. Currently, Lexi is preparing for the 2018 season as a level 10 gymnast. She trains 24 hours per week at Metroplex Gymnastics under coaches Marnie Futch, Gina Logan-Quinlan, Kambri Hoffman and Debbie Bonds. Lexi is working hard to reach her goals to qualify to the Junior Olympic Nationals as well as to compete for a Division I college gymnastics team.